What Types Of Jobs Can I Get With A Master’s In Nursing In Case Management? If you are thinking about pursuing a graduate-level degree in the field of nursing for the purpose of advancing your career, you may be wondering what types of jobs with a Master’s of Nursing in Case Management you can obtain. By reading the information found below, you can obtain an answer to this question. The primary purpose of master’s programs in nursing in case management is to provide students with a plethora of courses that prepare them to use clinical resources in a manner that ensures patients obtain optimal care within the health setting. In attaining this degree, students will develop the clinical resource management skills to address the rapid changes in patient care services and technology that are currently transpiring. By completing the program, students will attain the knowledge and experience necessary to enhance the quality of nursing services while simultaneously ensuring that the services offered are cost-effective. A medical and health services manager is an individual who coordinates various medical and health services. (Medical and health services managers are also referred to as healthcare administrators and healthcare executives.) Individuals who hold this position are often responsible for the management of an entire facility. They can also specialize in the management of a specific department or clinical area, or even manage a medical practice for a physician group. To function effectively, medical and health services managers have to be proficient in recognizing and responding to changes in healthcare regulations, technology, and laws. According to the U.S. Bureau of Labor Statistics, a medical and health services manager can expect to earn about $88,580 per year. Administrative services managers are responsible for the planning, directing, and coordination of an organization’s supportive services. Some of the responsibilities they might fulfill include record-keeping, planning and maintaining the facility, and mail distribution. The U.S. Bureau of Labor Statistics reports that an administrative services manager can expect to earn about $81,080 annually. A nurse case manager is an individual who is responsible for managing the cases of patients with care needs. To accomplish this objective, the nurse case manager will assess, develop, implement, coordinate, monitor, and evaluate plans designed to help optimize the patient’s health. 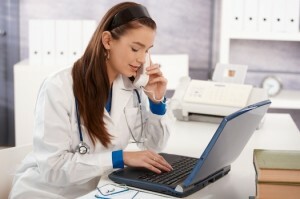 The nurse case manager may perform duties on-site or by telephone. Some of the primary duties involved could include conducting assessments to help identify the patient’s needs, ensuring that the patient gains access to the appropriate health services, and coordinating internal and/or external resources that will help meet the patient’s needs. The nursing care manager can expect to earn about $68,000 annually, according to Indeed. If you are thinking about obtaining a Master’s in Nursing in Case Management, you may want to know what types of jobs you can attain upon completing the degree program. Now that you have a basic understanding of the types of jobs with a Master’s of Nursing in Case Management you can obtain, you can determine whether this vocational path would be appropriate and advantageous for you.